Anhui ChangGeng Optical Technology Company Limited (trading under the name Venus Optics) was started by a group of macro enthusiast who wanted to make the ultimate macro photography lens. 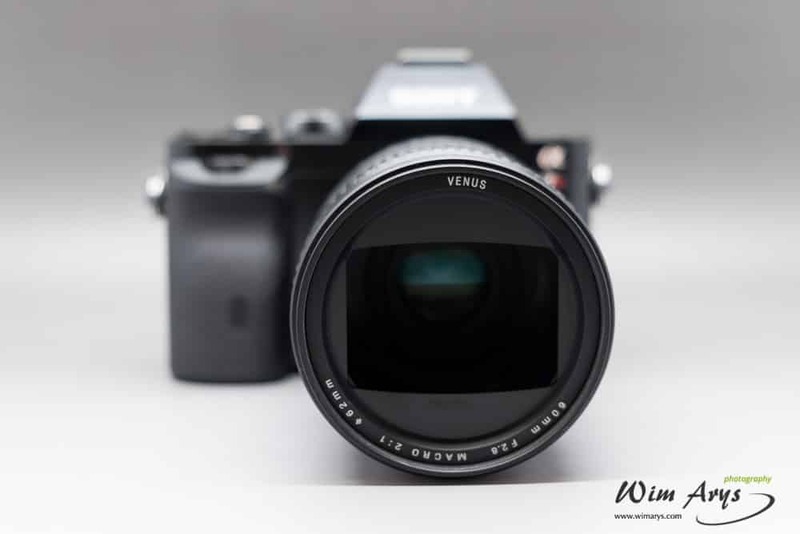 They are based in Hefei, Anhui China and currently manufacture and distribute Macro lenses under the brand name ‘Venus’. 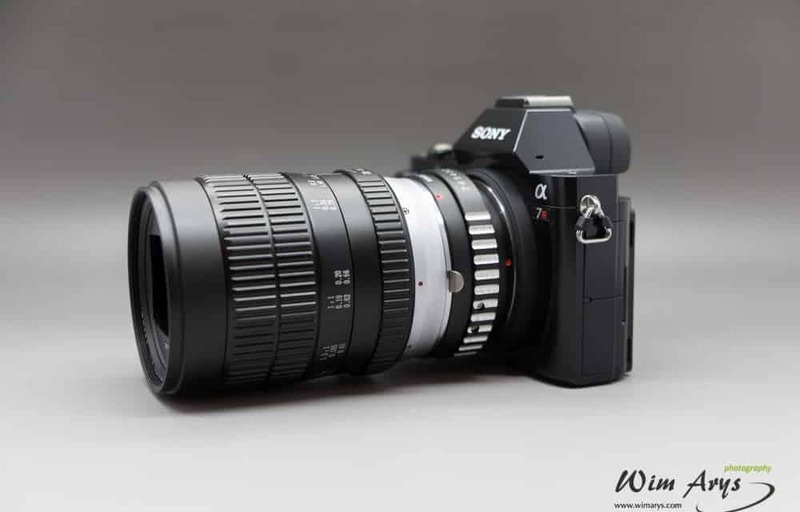 Their first lens is the Venus 60mm f/2.8 macro, and they are currently developing a 15mm f/4 macro lens. The Venus 60mm f/2.8 Ultra Macro has been available in China for some time now. Their first batch of around 100 copies sold in record time, and this led to extra funding and eventually the idea of distributing worldwide. The days of thinking of all Chinese products as low-cost, poorly built knock-offs are far behind us. I see more and more innovative products, especially in niche markets, being released, and I’m always impressed with the build quality, packaging, and especially value-for-money. I enjoy the ‘started from the basement’ philosophy behind many of these products, as they are most of the time photography enthusiasts themselves. They know what features would like to see in the products they make. The Venus Optics 60mm f/2.8 macro is such an example. 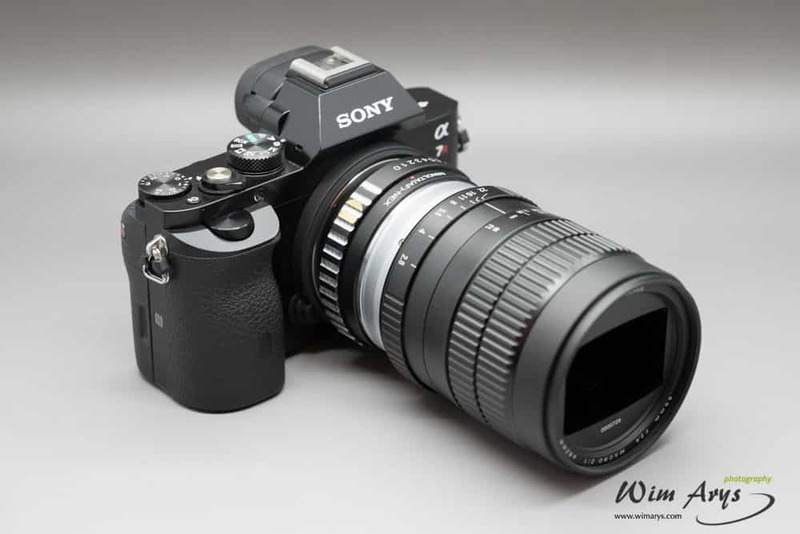 It is available in Canon EF, Nikon F, Sony A and Pentax K mounts with low-cost MFT, Sony E-mount, and Fuji X adapters also available through their website. Although it was mainly built for APS-C cameras, the Venus 60mm f/2.8 also covers a full-frame sensor (where the field of view is 1.6x wider), but you’ll see some vignetting on FF. A maximum f/2.8 aperture is pretty standard with macro lenses, and you can expect similar or better separation between subject and background with the Venus than any other macro lens. The only caveats being that this is a full manual lens with no autofocus capabilities or in-camera aperture control. Incorporating this would probably make the design more complex and drive-up the price, and I’m sure most experienced macro photographers prefer to focus and set aperture manually. The main strength of the Venus 60mm is the maximum 2:1 magnification, a world first, without the need for extension tubes or tele-converters. This two times magnification is achieved by incorporating an extension tube in the design. The variable magnification range stated in the literature can be explained by the fact that the optical part of the barrel extends internally, almost doubling in size. 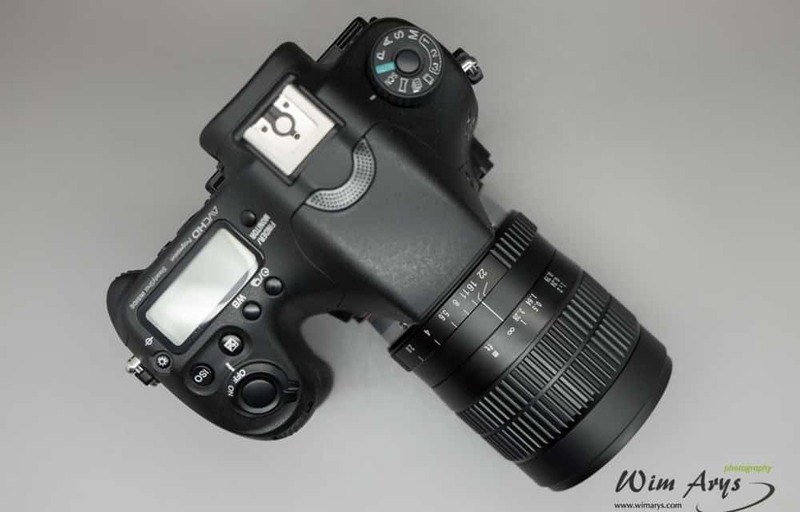 Hence, focus is coupled with magnification and this depends on how far you subject is from the lens. 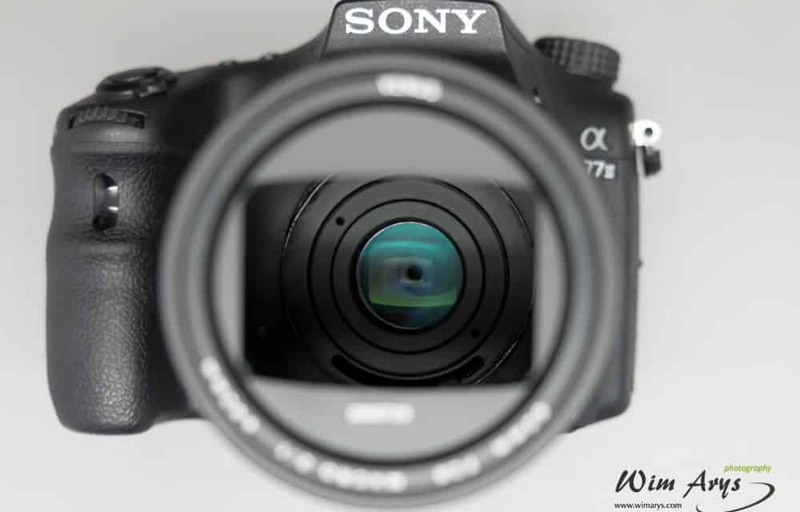 The internally moving protruding optical design also allows for 62mm filters to be placed in front of the lens. This lens could also be used for other shooting purposes like portrait photography, but it’s mainly suited for ultra-macro photography. The optical design consists of 9 elements in 7 groups to provide maximum image clarity and excellent color rendition at this price. The optical system consists of 2 major moving lenses groups in order to minimize the barrel distortion. The 14 piece aperture blades form a close-to-circular aperture, capable of creating a smooth out-of-focus area. Although not a real beauty, the Venus Optics 60mm does look and feel quite sturdy. All internal elements are made out of durable metal but feel quite light, weighing around 500gr. The aperture ring clicks satisfyingly with bright painted-on markings. The focus ring is heavily damped yet turns very smooth, ideal for macro photography where fine focusing is paramount. A complimentary lens pouch and UV filter are included in the package. The glass also comes vacuum sealed in plastic, a sign for me that Venus isn’t penny-pinching in any way. The Venus 60mm is a full manual lens with no electronic contacts (or autofocus capabilities) so you’ll have to use a technique called stopped-down (or stop-down) metering. Don’t worry, it’s easier than it sounds. 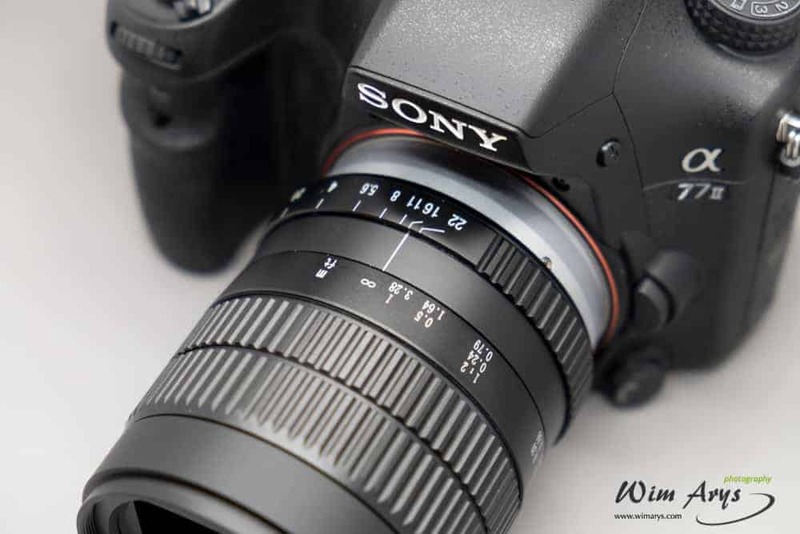 If you attach a full manual lens like this to your Sony camera, you’ll first have to enable the ‘release without lens’ feature in the Sony Menu system. It’s also advisable to use the ‘Peaking’ focussing aide in the Menu, by the way. How a modern digital camera normally meters and chooses aperture: With a native lens that relays aperture information to the camera, half-pressing the shutter button will measure available light at the largest aperture available. It will then calculate and switch to what it deems to be the appropriate aperture when you fully press the shutter button. 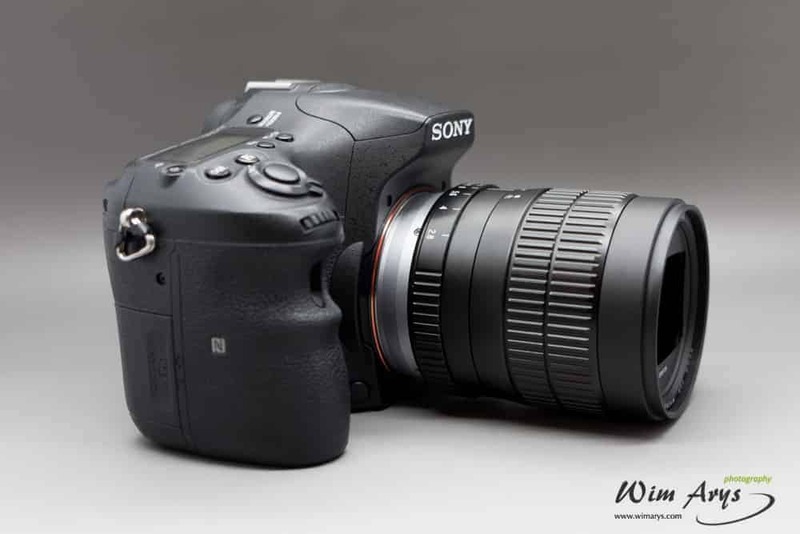 The ‘release without lens’ functionality tells the camera that this will not be possible with this lens and that it should not expect any aperture info. You’ll also notice that the aperture value is displayed as being 00 or__. Now the camera knows that it does not control lens opening and that it’s unable to change this electronically. 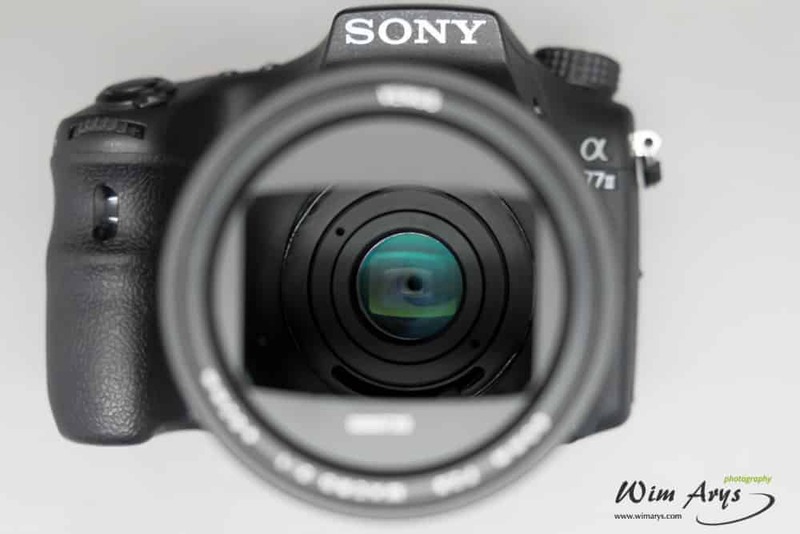 Manually adjusting the aperture on the lens will naturally vary the amount of light entering the camera, so it reads the light coming through the prism. The camera meters this and adjusts the shutter speed accordingly to achieve a proper exposure. This method works in Auto, Program (P) and Aperture Priority (A) mode on a Sony camera. For optimal edge-to-edge sharpness with certain compositions, you’ll need to stop-down the aperture (increase the f-stop number). Loss of sharpness due to diffraction sets in quite late with macro lenses (and this is also where they achieve overall highest sharpness) so going to f/11 or f/16 is not an exception. You can always ramp up the ISO value if you find the shutter speeds are too long or increase the Auto ISO range. Remember though that macro images, in particular, look best with low or no noise. It is notoriously difficult to achieve fine focus at slow apertures, even with focussing aides. So a trick is to focus at the fastest aperture (f/2.8 in this case) and then step down to your required aperture before engaging your shutter. As I mentioned before, in Auto, P, and A mode the camera will re-calculate the exposure time for you automatically. I’m using a 300dpi test chart for these test. 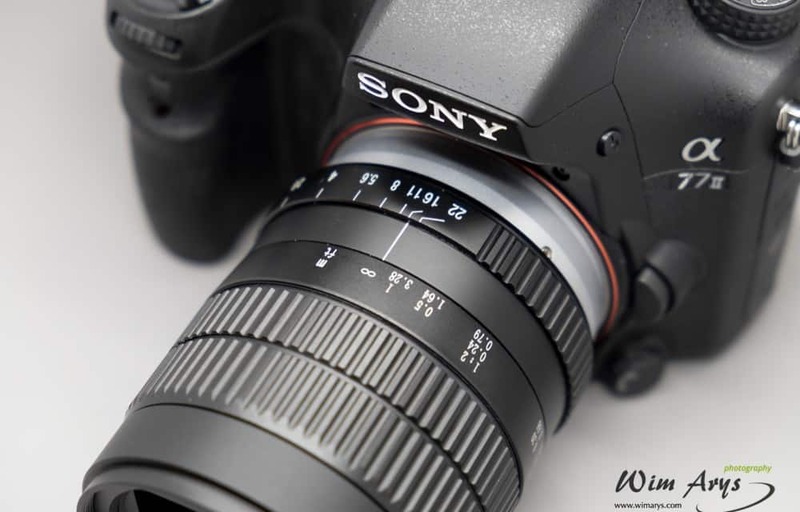 Sony ILCE-7r is on a study tripod, using a remote control to engage the shutter. The lens is on an equal plane to test chart. I have 2 constant studio lights on the left and right of the camera illuminating the test chart equally. I’m not claiming to have the accuracy and controlled circomstances achieved in something like the DXO labs, so any conclusions here are purely indicative. It’s also worth noting that these are full frame sensor images, and as this lens is made for APS-C cameras, both vignetting and corner sharpness will subsequently be better with an APS-C sensor. When looking at this test chart at all apertures, you’ll immediately notice that the Venus 60mm macro suffers from some pretty heavy Pincushion Distortion on a FF camera. This means that lines that do not go through the centre of the image are bowed inwards, towards the centre of the image. This is not a big issue for a macro photography, but might affect performance for more general photography use. You can also see heavy vignetting, which is at it’s lowest around f/11-f/16. This can be easily remedied in Lightroom though, and you’ll notice that it’s a lot less pronounced on APS-C. The Venus 60mm is already decently sharp at f/2.8 in the center. Not Zeiss sharp, but far beyond what you’d expect from a lens costing $379. It reaches maximum sharpness at around f/5.6-f/8. Center performance is still excellent beyond that, with loss of sharpness due to diffraction barely visible until f/22. This slight loss of sharpness beyond f/11 is nothing that can’t be fixed in post processing with some sharpening or other techniques familiar to macro photographers. Corners are very soft at f/2.8 (on full-frame), start sharpening up at f/5.6 and reach their peak around f/11. they still stay quite sharp (though not as sharp as the centre ) up to f/16. There’s no doubt that Venus 60mm IQ is as good as any other macro lenses available. The center of your image is already quite sharp and useable at f/2.8, and the out-of focus areas are very creamy and smooth at all apertures. The corners sharpen up nicely at around f/8, reaching peak sharpness at f/11. The sweet spot of this lens is around f/11 or f/16, although you’ll loose a slight amount of center sharpness at f/16. The main selling point of the Venus 60mm is the ability to achieve 2 times magnification of your subject without the need for any additional equipment, while stil having the ability to focus from 18,5mm to infinity on an APS-C camera. A macro lens always darkens considerably when focussing at close distances, and the Venus 60mm is no exception here. You’ll need good lighting, either bright natural light or a good macro light rig to get the best performance out of this lens. If you take these variables into account, you’ll be very pleased with this lens. You can view lots of images taken with their 60mm by clicking here. The Venus 60mm f/2.8 Ultra-Macro Lens is currently available at authorized resellers like Kamera Express (Canon Mount Venus 60mm and Nikon Mount) and at the official website (click to open the product pages). Recommended retail price is $379 with free shipping for a limited time.